Piggy's Little Shop: Packaging - Are you a sucker? I am a self declared packaging sucker. I love buying items with cute packaging.. For some reason, cute & brightly colored packaged items always catch my eye and I appreciate the finest details. My friends call me a packaging sucker.. keke :) But to me that goes to show how important packaging is. Recently one of my suppliers for my boxes has increased its price. In addition, I was told that it will take me 2 months before I will receive it and I have to buy for the items upfront. I was so ANNOYED! Thus I decided to revamp my packaging strategy... but to what? Here are some of my favorites and thoughts.. My packaging may be a combination of some.. If you were to buy jewelry, what would you love to see your pieces be packaged in? I use organza bags for my jewellery or a cardboard box for more delicate necklaces. There is something lovely about pretty packaging isn't there! ohh, I'm a sucker for a cute package, too :) For jewelry, I do like a box of some sort, but so long as it's not breakable I like cute wrapping and bags, also. I want the packaging to look sophisticated. I love organza bags, but i always feel the jewelry will get crushed in transit. So I prefer a box. 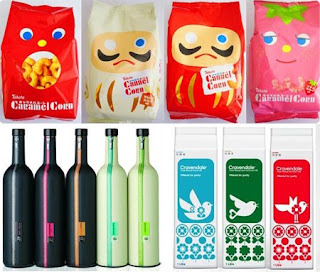 I love things in cute packaging too! Oh, I'm a real sucker for packaging too!